Ditched enclosure with timber round-houses of the late first or second century. The site produced 130 sherds of handmade pottery, from a suggested 30 vessels. No Roman pottery was recovered, although there were fragments of glass bangles. 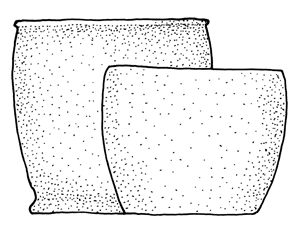 The evidence suggests that only barrel/bucket-shaped vessels were present in the assemblage, including both ones with plain rims and ones with small triangular rims. Most of the sherds from the upper part of vessels had carbonised organic remains on the exterior, showing that the vessels were primarily used for heating materials over a fire. It appears that on this site the occupiers felt no need to use pottery for any other purpose.